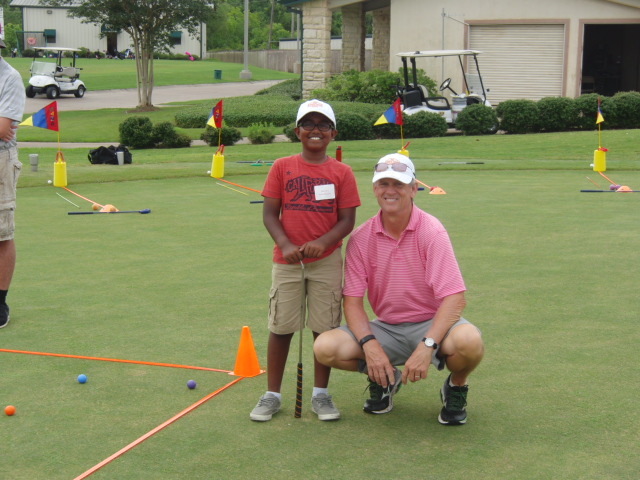 During the summer, we have several kids golf activities here at the Timber Creek Golf Academy. We have golf camps, PGA Junior League, Saturday Kids Golf, and one on one lessons. I have had parents tell me that they want their kids to have golf lessons so they don’t develop bad swing habits. Also, I have had parents tell me that they haven’t gone out to play on the golf course for fear of developing bad swing habits. This is not what we should be worrying about. Part of golf lessons and playing golf is discovery. There is an incredible variety of golf swings that can work. Figuring out how to make a swing works takes time and effort. Coaching will help this process happen. Properly fitted golf clubs will make a big difference. Junior golf clubs tend to be too long and too heavy. 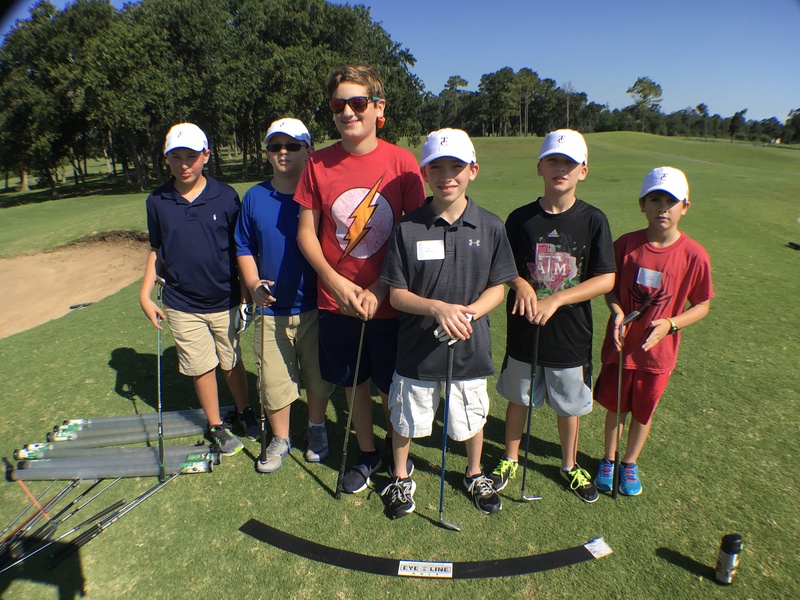 We use US Kids Golf and Golphin golf clubs as our guide for junior clubs. I use a couple of techniques for evaluating clubs. Driver length for adults is 44 to 45.75 inches, and these lengths should fit golfers between 65 and 75 inches. If we use that information, a driver should be about 2/3 of the golfers height. If you stand with your driver in front of you, it will reach just below your sternum. A seven iron is normally slightly longer than 1/2 of your height. A six foot tall golfer will normally use a 7 iron that is 37 inches long which is slightly more that 1/2 of height. The ratios work for adults and kids. US Kids Golf and Golphin sell their golf clubs to match your height. The clubs are light and work well. At camp we ask the kids what they like the best – is almost never full swing. The fitness station is often the most popular activity. The activities are designed to help the kids learn skills and athletic motion that is necessary to play good good. At TPI, we learn that kids have to be good athletes before they can be good golfers. 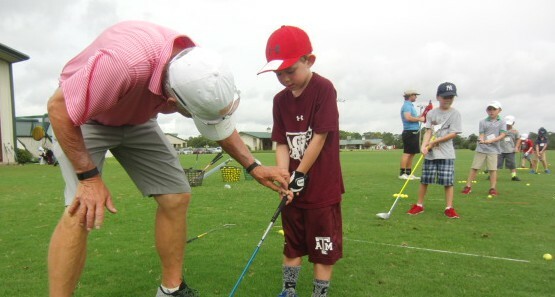 Does my child need clubs for classes? For intro classes, we have clubs to loan to children during class. If your child shows an interest and wants to play and practice outside of class, you should get some clubs. If you are no ready to buy a whole set, you can buy a club or two for them to start with. Golf shoes are not necessary until you reach a high level of skill. Athletes shoes are great for learning golf. We do lots of activities in golf class and athletic shoes work best. Try to avoid smooth soles. Flip-flops and crocs are not good for golf. What kind of clubs are best? For younger children, I like US Kids Clubs because they are very light which is important for young golfers. Also, they are sized properly (by height). Other companies make clubs, and some are good. Cutting down adult clubs is an option that I prefer not to use unless there is no other option. Cut down adult clubs are too heavy. How do I decide if my child should be in an advanced class? As children start to play and practice more often, and develop as athletes, golf skills improve. At under 10 years old, most children haven’t played or practiced enough to be very advanced. We offer advanced classes to have activities for children who are more experienced. Golf is about learning fundamentals so the content of classes is similar. I will offer my opinion and will let you be the judge of advanced or not. As a parent, what should I do during golf class? I enjoy seeing parents and grandparents around during classes. My hope is that you observe what we are trying to do, and will use some of it to help your child learn and have fun. I am a PGA Professional. I am certified as a US Kid Golf Instructor, and I am a Titleist Performance Institute Level 2 Junior Golf. I am a member of the Positive Coaching Alliance. The point is that I have spent a great deal of time and effort learning how to be a good golf coach. We play games and many of our activities are to help develop our children into athletes so that they can play golf and other sports. Sometimes parents can get too involved in trying to help during class. Please avoid doing that. The message that your child gets when we are coaching and you are coaching at the same time is very confusing. I differ from many people and organizations in starting golf competition. 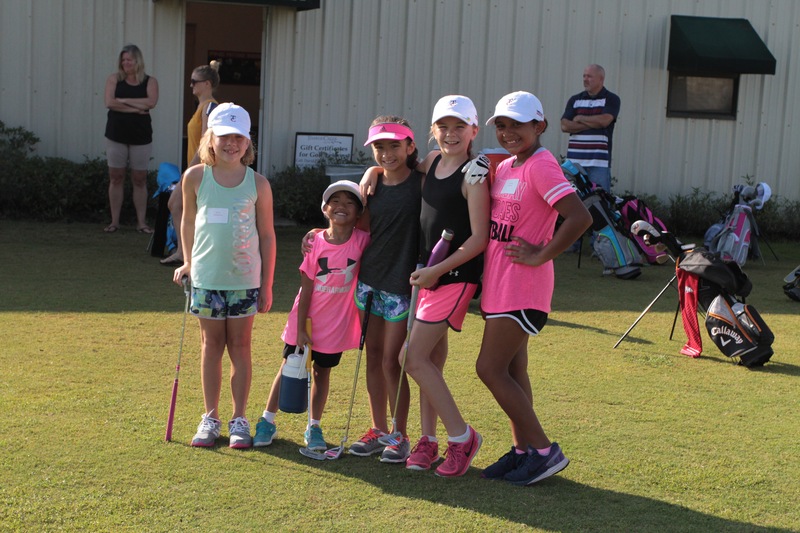 Our PGA group (STPGA), and other groups start competitive golf at six years old. I would rather see a child learn to play and start competing at about ten years old. I think that golf is hard and there are enough things to learn that waiting a bit helps. If you are looking at competition, look at www.stpgajuniorgolf.com. This is run by the Southern Texas PGA, which I am a member. It is the best place to get started.